Welcome to our current/upcoming events page. Below is a listing of what's happening at Brooks & Collier. Be sure to stop by Brooks & Collier frequently, as we may run unadvertised specials from time-to-time. Brooks & Collier is currently having a tent sale. 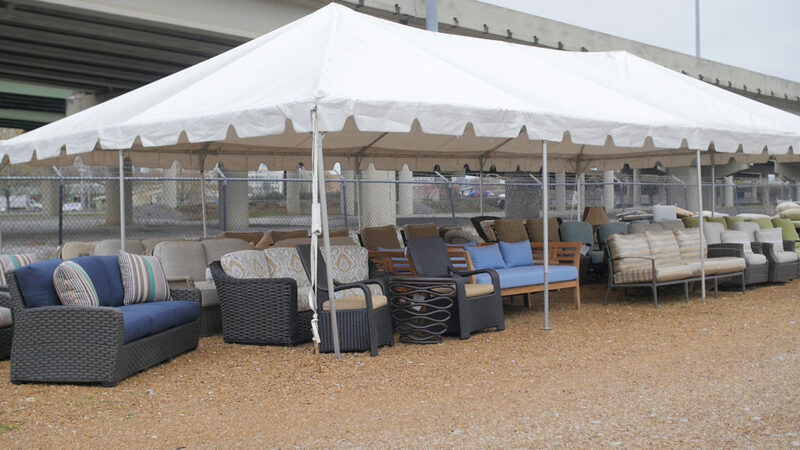 Come by today to see the remaining collections of furniture under our big tent. This is your opportunity to save up to 75% off.